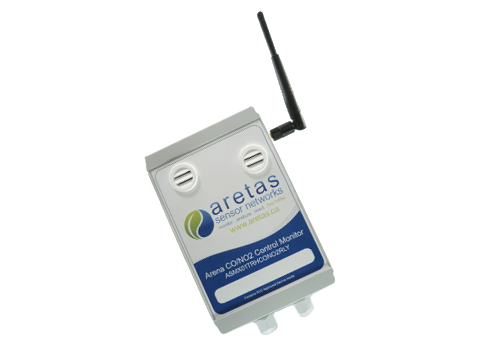 Developed specifically for ice arenas, the Aretas CO / NO2 monitoring system provides you with alerts and other useful data required by many states or provinces. If CO or NO2 reach levels of concern, your team will be notified by email and/or text so you can take immediate action! As an added benefit, all systems come with Temperature and Relative Humidity monitoring, offering you energy savings opportunities at no extra-cost! We even offer automated controls to turn on your ventilation system when levels are exceeded, call to find out more today. Not only is CO & NO2 monitoring the right thing to do, but in many states it is required by law. As an example, Minnesota is at the forefront of public health by requiring sports arenas to continuously monitor AND document CO & NO2 consentration. Many facilities, and even other states follow the Minnesota guidelines outlined here and states "Corrective action necessary: The owner or operator must take immediate corrective action when measurements of more than 20 ppm of carbon monoxide or more than 0.3 ppm of nitrogen dioxide are made in an area of the arena building that is open to the public." Our continuous monitoring system, with online reporting and download capabilies means your team doesn't manually measure air quality levels many times per week. They can then print and file reports to meet time consuming reporting protocols. Temperature and Relative Humidity are included at no extra cost, so that you can optimize your user comfort levels, while taking advantage of energy savings opportunities. Our online analytics charting allows you to understand your facilities mold index which shows when temperature and relative humidity levels may be causing mold growth. 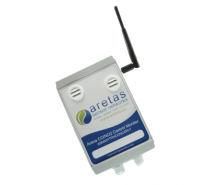 Call today for a free demo of our ice arena monitoring solutions (877) 218-6232. Once you see the ease of use and power of our system it will change the way you manage your ice rinks. Suggested coverage requires at least 3 monitors. One mounted in the stands, one at the red line and one in the resurfacer area. Depending on your facilities size, you may prefer additional coverage in public spaces such as the concessions area. Sharing your proactive monitoring efforts with the public gives them peace of mind and shows you care. Read more about Chippewa's relay control and monitoring here. There have been regular occurences of CO/NO2 issues in the news as any online search will show. As an example from Canadian Worksafe BC "In two separate incidents, arenas were evacuated after children were exposed to carbon monoxide while skating. At one arena, children began to feel ill and two children fell into a state of semi-consciousness. During the emergency evacuation, firefighters took air samples and found carbon monoxide levels as high as 264 parts per million. The suspected source of the carbon monoxide is an ice resurfacer that had mechanical problems. Is the ice rink making your child sick? NBC’s Jeff Rossen investigates air quality at ice rinks, where toxic pollutants, such as carbon monoxide, may be lurking. “Carbon monoxide (CO) gas is one of the most widespread and dangerous industrial hazards. It is the most common cause of occupational gas poisonings leading to death. It can be lethal at concentrations as low as 1000 parts per million (ppm).” Work Safe BC. Unintentional CO exposure accounts for an estimated 15,000 emergency department visits and 500 unintentional deaths in the United States each year according to the CDC. Carbon monoxide is an odorless, colorless gas often formed in the process of incomplete combustion of organic substances, including fuels. It is dangerous because it interferes with normal oxygen uptake for humans and other living organisms needing oxygen to live. Nitrogen dioxide is a highly reactive oxidant and corrosive gas. It is formed as a byproduct of combustion. Exposure to nitrogen dioxide can irritate the eyes, nose, throat, lungs, and lower resistance to respiratory infections. People with existing respiratory illness such as asthma are at increased risk for these health effects. Arenas are required to keep concentrations of nitrogen dioxide at or below 0.5 ppm in the air.